SKITTLES 24 CT SOUR come in many different colors such as pink, purple, green, blue, and yellow. This means that you will get to enjoy a variety of colors and flavors. The texture of this skittles are soft and chewy. They have sour coating on the outside of them that makes for their unique sour taste. The flavors that you get from these are fruity and are much like the classic flavors that you find but they are able to provide you with sour taste. If you are looking for a new twist on skittles then you should try the sour skittles. These are fun and exciting for people of all ages. This is one candy that is sure to get youhappines. 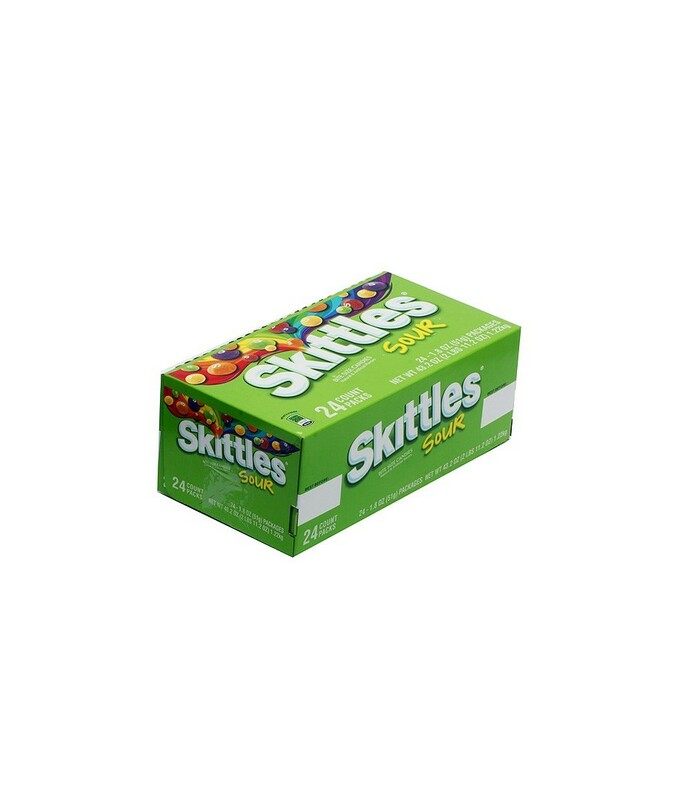 you can buy SKITTLES 24 CT SOUR in bulk at a wholesale price at Volt Candy Online. captivating and attractive candy and i just love the taste.